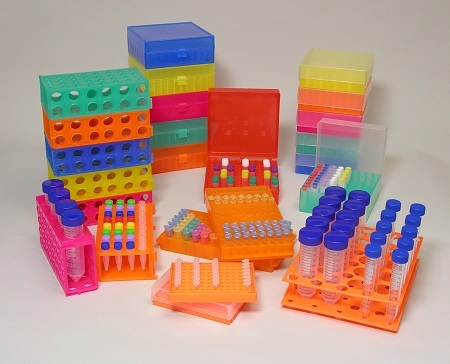 Pipette.com's benchtop tube racks are made of 100% polypropylene and are available in three popular configurations. No. R1030 is a 4-way rack that can be used to hold 4x 50ml, 12x 15ml or 32x microtubes (0.5, 1.5 or 2.0ml). They can be snap-linked together to form as large a rack as is needed. No. R1070 is a unique rack that holds 30x 15ml and 20x 50ml. No. R1050 is a reversible rack for 96x 1.5ml on one side and 96x 0.5ml on the other. Suitable for refrigerator and freezer storage as low as -80°C, these boxes have translucent lids and numbered cavities. No. R1010 is a PCR workstation rack/box for 96x 0.2ml (plates, strips or individual tubes). No. 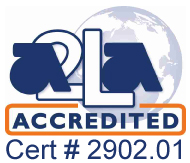 R1020 is a 10x10 format with an attached hinged lid. No. R1060 is the standard 9x9 format with a friction fit lid. All autoclavable.